Review: Who Moved My Waste? 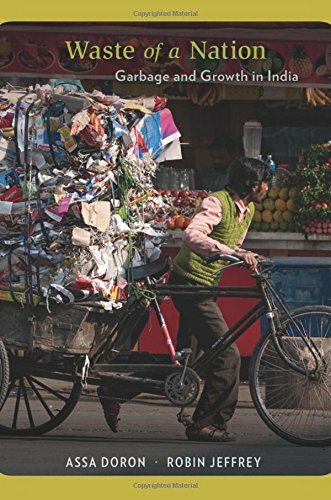 In 'Waste of a Nation', Assa Doron and Robin Jeffrey correctly point out that the burden of India's primitive waste systems has been carried by waste workers, most often Dalits, leaving other Indians blind to the mounting waste they create on a daily basis. In their new book Waste of a Nation: Garbage and Growth in India, academics Assa Doron and Robin Jeffrey seek to capture not India’s increasing wealth but its rapidly growing waste – a largely neglected subject. Their travels take them through rivers overflowing with human ashes and industrial waste, sewers swirling with noxious gases, toilets topped with excrement-filled cesspits and teetering garbage landfills. In India, waste is everywhere. Doron and Jeffrey track it down to the factories that make wigs of discarded hair, to Alang’s ship breaking yards, and to the metal units of Moradabad’s that break down electronic waste. They return with a stunning – and alarming – picture of a nation choking on its own garbage. “Never in history have so many people had so much to throw away and so little space to throw it in as the people of India in the second decade of the twenty first century,” they write. The authors have put India’s waste crisis down to “density, volume and caste,” in an interview with Harvard University’s South Asian Institute. Indians consume and throw away more stuff than they ever have before, with shrinking space to throw it in. 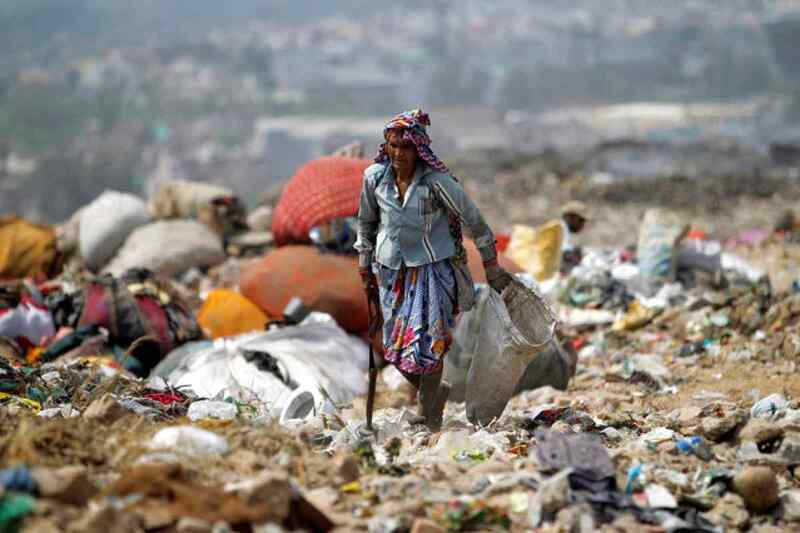 The burden of its primitive and creaking waste systems has been carried by waste workers, most often Dalits, for centuries, leaving other Indians blind to the mounting waste they create on a daily basis. There’s always someone meant to carry trash away from the sight of privileged Indians, the authors seem to suggest, not incorrectly. I remember once speaking to a corporate executive who had left her job to start a waste management enterprise in Mumbai. While conducting a survey in wealthy homes in Colaba in South Bombay, she found that many had no dustbins. She found that the residents had no idea how the trash they left on their plates and around their homes was collected and thrown away by their staff. There is presumably even less sensitivity to people and systems that get it off the streets, rivers or landfills. The resulting environmental crisis stunts India’s children, pollutes its air, sickens citizens; and yet, it remains unfixed. “If a Swacch Bharat is to be achieved, it will be a place where the waste of a nation does not include poor and marginalised people but is restricted to inanimate matter – minimised, collected, neutralised and reused in ways that provide models for other places in an environmentally fragile world,” write the authors. The book has a double-barrelled theme – the authors lay out the need to clean India but also, importantly, to recast the lives of those who carry the weight of its waste. Doron and Jeffrey appear to have used, as their frame of reference, the government’s flagship Swacch Bharat programme, cast wide to include sewage, toilets, landfills, rivers, hazardous and electronic waste, shed hair, among others. For the book, the authors travelled from Kochi to Moradabad to Raichur and Pune, among other Indian cities to trace out a disquieting picture of mounting waste. They track down a range of researchers and historical accounts – Florence Nightingale’s accounts of India’s unsanitary military cantonments, Mulk Raj Anand’s novel Untouchable, to Bhasha Singh’s account of Dalit waste workers, Unseen, all make an appearance – to trace India’s long and complex relationship with waste, uncleanliness and ritual purity, or ashuddhata. Sanitary knowledge is relatively recent and not much used in England either, at the time. Queen Victoria was among the many victims of Typhoid. But London’s Cholera epidemic and the discovery by researchers of the connection between sanitary conditions and diseases became the binding moral crisis that improved London’s sewers. Around the same time, parliamentarians saw the Thames river turn yellow from pollution and passed legislation to get it cleaned. Only a similar moral crisis and its impact can force change in India – an example is the 1994 Surat plague after which it became one of India’s cleanest cities. In India, the notions of sanitation have always been different. The authors describe the Indian concept of frugality, where consumption was limited and products reused. Indians traditionally used more sustainable products such as daatuns, made of neem twigs, in place of toothbrushes. Leftover food was given to dogs and cows. This tradition of thrift and reuse was slowly replaced by mass consumption and therefore more waste. Plastic and electronic waste piled up unsustainably as the economy grew, while waste management systems creaked, the authors find. Moradabad’s famed metal workshops turned to breaking down electronic waste but without any hazardous waste processing facilities. There is a colourful description of one such workshop which is lined with sacks full of dismembered computers. They meet a sewer cleaner in Varanasi, who, wearing just underwear and a pink plastic bag to protect his hair, dives in to the ancient city’s smelly, excrement-filled sewers. Workers often intoxicate themselves to negotiate these deep labyrinthine routes that even municipalities often do not know exist under chaotic city streets. Using the Swacch Bharat campaign as a reference point has its limitations – it takes away from the vast, invisible army of waste workers consisting of Dalits and poor Muslims. What does this ideal of Swacch Bharat offer them? And shouldn’t the campaign upturn these notions of purity that oppressed for centuries too? Bezwada Wilson, the Magsaysay award winning Dalit activist had said in an interview to The Wire, in October 2017, that the Swacch Bharat campaign reeked of “insensitivity”. “When the prime minister and his ministers picked up the broom, they, in effect, romanticised the act. For us the broom is a symbol of our oppression and society’s inhumanity towards us – the manual scavengers who have for centuries picked up human excreta with their brooms. (Bhim Rao) Ambedkar’s slogan for us was “ Jhadu chhodo, Kalam pakdo” (Throw the broom, pick up the pen)”. While Doron and Jeffrey have quoted Wilson, they would have done better to have examine Swacch Bharat through this lens of rebuilding the lives of the mostly Dalit and Muslim waste workers. Given the ongoing caste ferment in the country, releasing waste workers from their dehumanising professions is as pressing as the campaign’s toilet construction goals. Doron and Jeffrey’s travels mostly take them to models that build toilets, not rebuild lives, except for a stray mention of a recent pilot project to make a 50 kilometre stretch, in Tamil Nadu, manual scavenging free. The Swacch Bharat campaign is known to be Prime Minister Modi’s most cherished project. 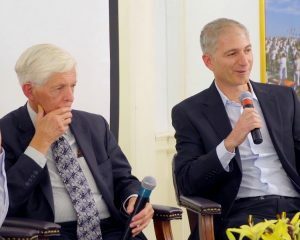 Famously interview averse, the Prime Minister responded to Doron and Jeffrey’s interview request with emailed responses. But here too, he doesn’t talk of transforming the lives of Dalits and waste workers through the campaign. The authors don’t say if they asked. Doron and Jeffrey do a remarkable outline of the urgency and scale of India’s waste crisis. Their travels through India’s wastelands surprise, engage and inform readers. However, cleaning India may involve reimagining India. Both, the authors and the Swacch Bharat campaign’s architects may have to dig deeper to think of an India that is clean but also humane to waste workers. 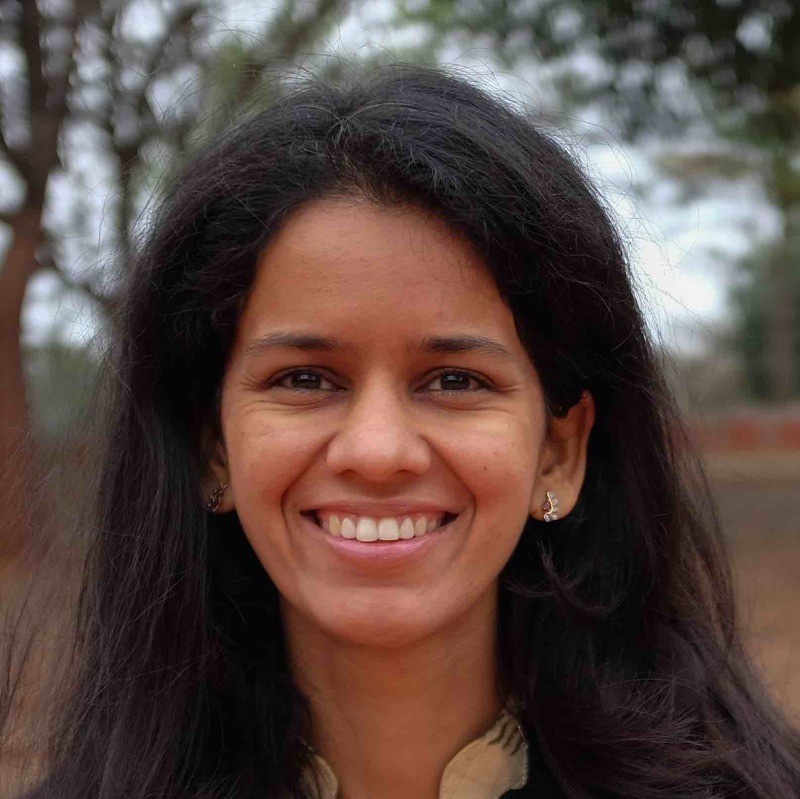 Saumya Roy is the co-founder of Vandana Foundation, which supports livelihoods of micro entrepreneurs and waste pickers in Mumbai. She has been researching the Deonar garbage mountain in the city for several years.